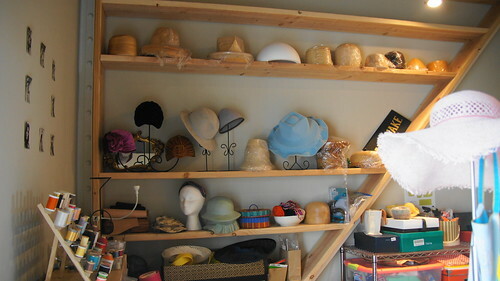 The Mill District Milliner: Celina Kane - Minneapolis Riverfront News - Minneapolis Riverfront Neighborhoods. This story started with a dilemma, and the dilemma was my big head. 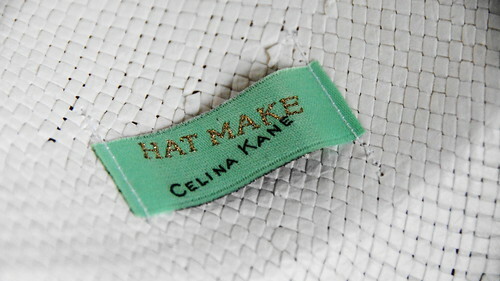 Celina Kane is Hat Make. 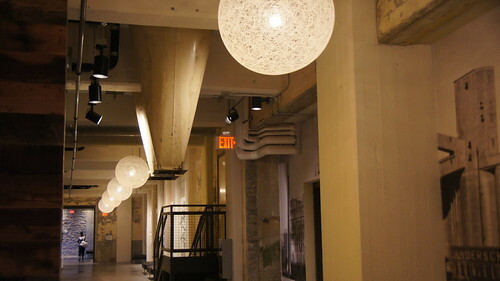 The milliner lives and works in the A-Mill Artist Lofts. Celina’s creative and entrepreneurial leanings come naturally - her mother Brenda Langton of Spoonriver restaurant is a Mill District icon. 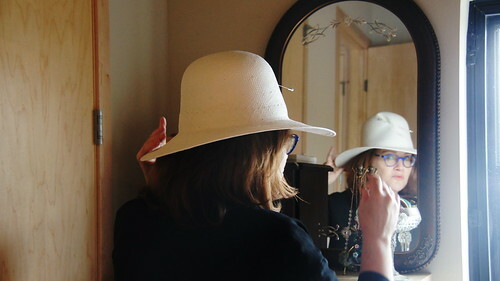 But after a triple major at the University of Minnesota in Art History, Political Science and French Studies, Celina found herself drawn to how the elements of design connected with the historical and cultural significance of hats. 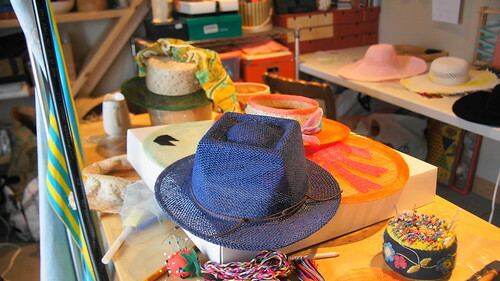 “There’s a myth that I studied millinery in Paris, which isn't quite the case," Celina shared. 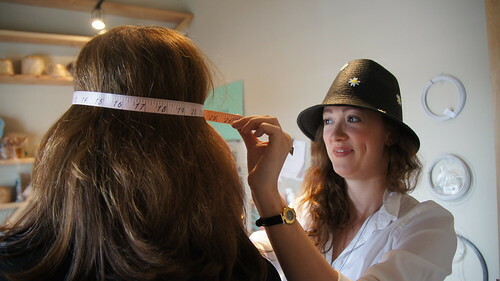 "I did study in Paris, but the interest in hat making came after graduation.” One of her first classes was with Duluth milliner Emily Moe. 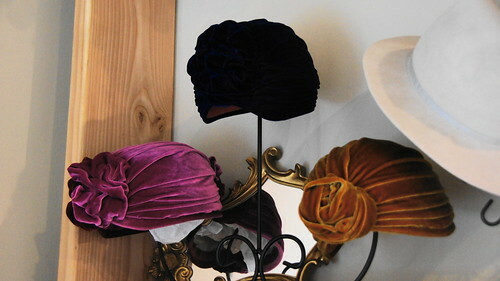 Since then, she has studied with couture milliners, artists who create totally handmade hats. 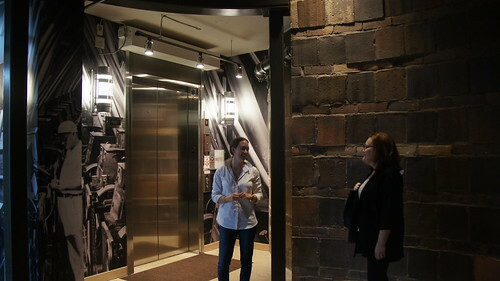 Anya Caliendo is one of her mentors. 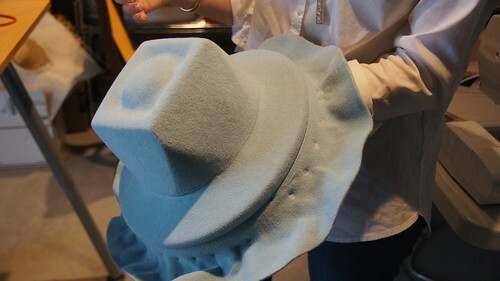 The New York based milliner has created hats for celebrities including Lady Gaga. 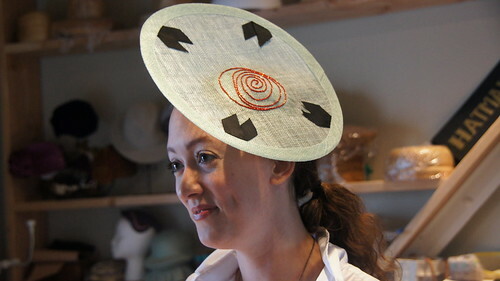 Closer to home, Karen Morris, a St. Paul milliner, known for her occasion and Derby hats, has helped Celina continue to develop her craft. 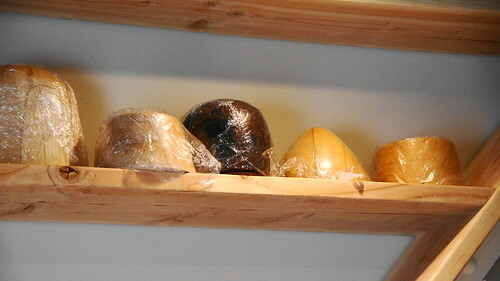 The shelves that line the studio wall are filled with carved wooden hat blocks. 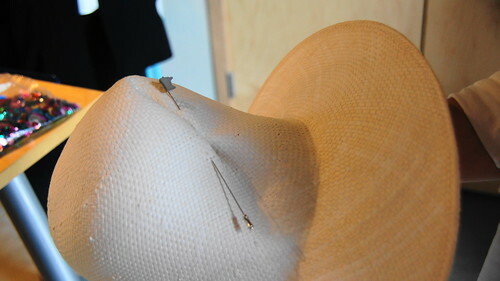 There are piles and baskets of fabrics, ribbon and trim sheets of sinamay, a woven straw hat material. A steamer and a sewing machine take up the center of the room and it was fascinating to hear Celina describe the variety of processes involved - steaming, blocking, trimming - for a variety of hats; cloches, turbans, fedoras, boaters. So what's on trend in the hat world? 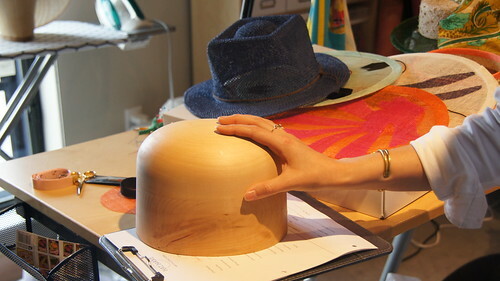 Her first collection included 17 hat styles and the new collection has 15. 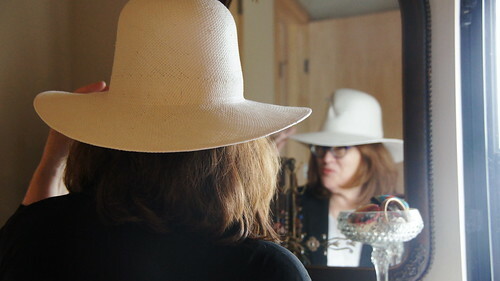 Her personal favorite is the Ojo Crow, a wide floppy brimmed hat that was the most popular item in her winter collection. The Quadratto is another favorite, her own block design, with color and fabric variations that make it a year round choice. 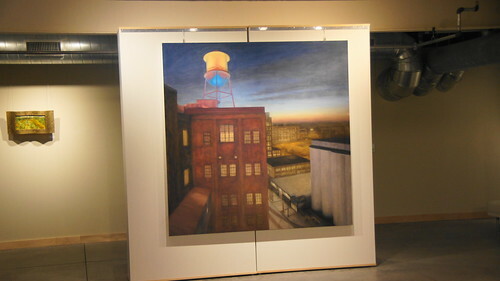 Hat Make will be among over 100 artists at the A-Mill Artist Lofts open during Art-A-Whirl this year (May 20-22). 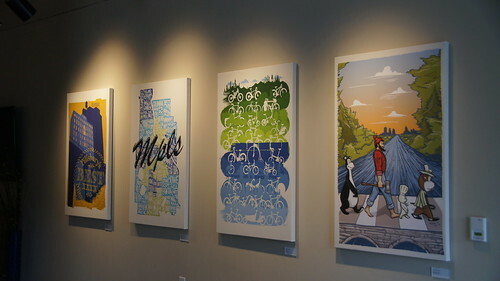 Trolleys will run from the heart of the Northeast Minneapolis Arts District to the A-Mill location. 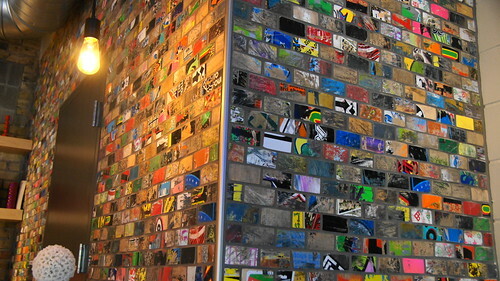 Artist demonstrations, live entertainment, book signings and food offerings will make it a riverfront destination for the annual arts celebration. 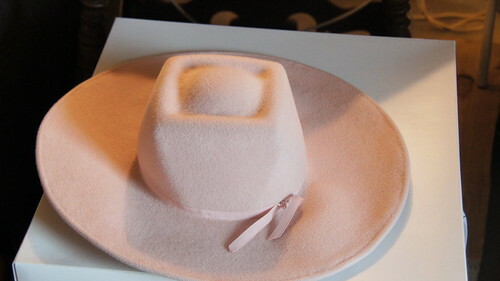 And my new hat? 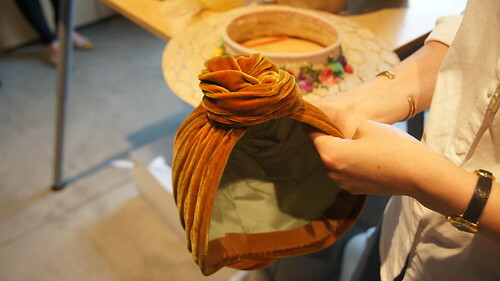 Like all of Celina’s designs, it has a name and this one is called The Fold. 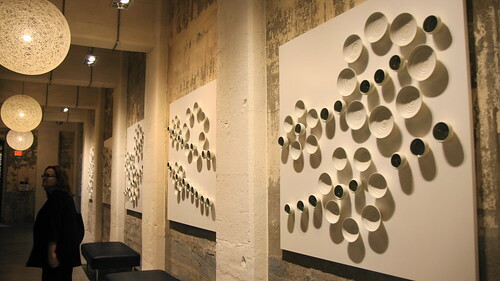 There’s a vertical fold, shaped with a hat pin created by concrete artist Beau Sinchai of Koonyai Studio. Bring on the sunshine! 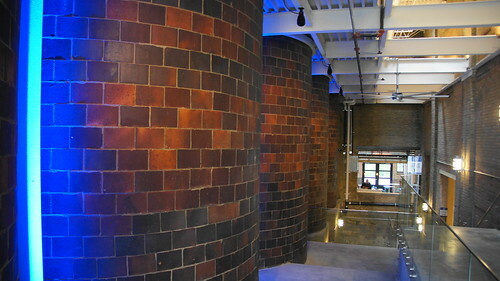 Editor's note - The A-Mill building has been transformed into a work of art. 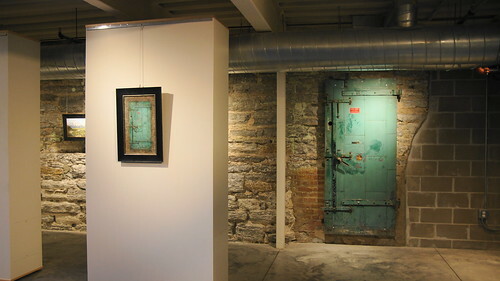 If you haven't yet had a chance to experience it, Art-A-Whirl is the perfect opportunity to do so!